When it comes to data, the modern workplace is a pretty volatile place. Within the IT environment, every privileged user connection represents a potential threat. According to Crowd Research Partners, privileged accounts that provide access to sensitive information such as manager and administrative accounts pose the biggest insider threat to 60 percent of organizations. More often than not, these accounts are also the ones cybercriminals use as attack vectors. Privileged accounts pose the biggest insider threat to 60% of organizations. Shouldn’t You Trust Your Admins? Of course, you need to trust your admins, but you must also regularly reevaluate the level of access these users have and what they are doing with that access. The scope of your admins’ jobs may change over time, and leaving access points open is an invitation to data disaster. As your company grows in size and complexity, you’ll need to maintain a close eye on your administrative and other trusted accounts – any gap in your defenses is a tantalizing opportunity for criminal profit. Any gap in security defenses leaves your organization vulnerable to data breaches. Consider that privileged accounts are the root of most enterprise-level data breaches. This doesn’t always happen because a disgruntled employee decided to erase sensitive records – it can happen during a routine password change, especially if a cybercriminal deems your sensitive data potentially valuable enough. If a cybercriminal were to target your company and attempt to steal sensitive data, breaking into a privileged account simply makes sense – why start at the bottom? On average, data breaches cost organizations $4 million. Enterprises must take the proper steps to ensure that privileged users only have access to the data they need and take other precautionary steps to protect their organization. Even if privileged users are trusted, their credentials can be stolen by cybercriminals outside the organization and they may not even know about it. Managing the privileged access is extremely complicated, but using a robust privileged access management (PAM) solution that includes an advanced privileged session manager component is what organizations need to ensure their data and systems are protected. Verifying the access and activities of privileged users gets increasingly complicated as your company grows. Not only do you have accounts from employees who no longer work with you, but you also have to deal with providers and changes from employees who have switched departments or simply advanced up the corporate ladder. To take control of this issue, you need a system that lets you grant and revoke access privileges based on clear and concise data. You need a system that can automate access so that one-time privileges expire after an employee’s need for those privileges expires. Enterprises need a complete solution that allows them to grant and revoke access privileges, view the actions of privileged users in real-time, and have complete access to an unalterable audit trail. Most importantly, you need a privileged session manager that leaves an audit trail that cannot be changed – so that any unauthorized activity leaves tracks. Morever, you want a privileged session manager that provides robust feature sets allowing super-admins to prohibit certain actions or to send out alerts in the case that prohibited or especially sensitive actions are taken by privileged actors. Unalterable audit trails: Required for both incident response and regulatory compliance, a good solution provides a searchable DVR-like recording that can be reviewed. Authorization workflows: A simple and scalable workflow that helps security teams provide permeant and temporary access to critical systems and data. RDP/SSH access controls: Access must be maintained through native controls that are structured around a pre-determined rule set. Real-time control systems: Give security teams the power to define forbidden actions for each account and block or prevent access to critical systems if suspicious activity occurs. Real-time control and alerting: Security teams need to be able to monitor and control the actions of privileged users as they are happening and have the power to immediately terminate access if necessary. These tools give security teams the oversight and control that is necessary to ensure that enterprise systems and data are protected from both internal and external threats. This kind of technology could have prevented Anthem's $115 million data breach that compromised 78.8 million people's personal records – the largest breach settlement in history. The attacker – now believed to be a foreign government – compromised 50 separate accounts, moving laterally across Anthem's systems and gaining privileged access to at least 90 separate systems. Although Anthem considered itself prepared for potential data breaches, the depth and sophistication of this attack far outclassed its threat mitigation abilities, in part because Anthem lacked an adequate privileged session manager. Anthem's $115 million data breach compromised 78.8 million people's personal records – the largest breach settlement in history. With a robust privileged session manager solution in place, Anthem could have spotted the breach as it was occurring and stopped it instantly – significantly reducing its impact. In addition, Anthem would have had an audit trail that provided them with data on where, when, and how the attack occurred. They would have been able to see what actions were taken to access the systems and to steal the data. The WALLIX Privileged Access Management (PAM) solution is a powerful suite of tools designed to take the work out of managing privileged accounts. By consolidating all of your organization’s privileged accounts in one place and creating a robust set of tools for managing those accounts, you can quickly and decisively protect your organization’s weakest points. The WALLIX solution provides administrators with a scalable and secure interface that makes it easy to grant and terminate access as needed – all from a single centralized interface. Users never have direct access to critical systems and data, and access all counts via the WALLIX Bastion. The WALLIX solution incorporates its own secure password vault, so there is no chance of end users accidentally sharing, duplicating, or writing down passwords to target systems or equipment. In fact, with our system, end users never even have access to root passwords. All system access occurs via the password vault. It also permits unique user identification which greatly diminishes risks of negligence or breach. Most importantly, the WALLIX solution includes an advanced privileged session manager component. Complete DVR-like unalterable audit recordings are created to assist in the incident response process and ensure regulatory compliance. Unlike other PAM solutions, the WALLIX solution records everything on the screen from mouse movements to text commands using an optical character recognition (OCR) system. 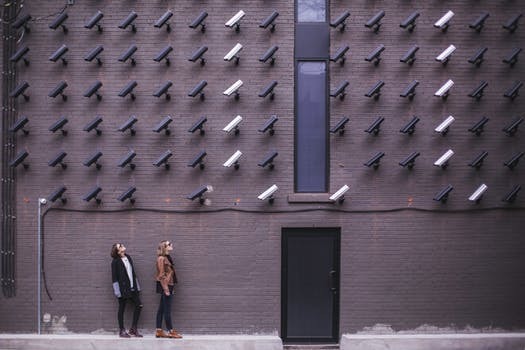 This functionality allows security teams to search recording for specific activities and commands rather than having to watch hours of footage to find the exact moment a suspicious activity occurred. By giving you the tools to secure privileged access accounts, we’re making your IT infrastructure more secure and more controllable. At the same time, activities that take place on your network are more visible than ever before, so you never have to guess at a privileged account holder’s intentions. Instead, you have complete visibility and confidence that you can prevent data breaches within your organization using PAM. Ensure complete visibility and control over privileged users with the WALLIX solution. Ready to try the WALLIX solution? Sign up for a free trial.